Although I’ve never watched the show The Walking Dead, it recently became the subject of lengthy conversation in my writers’ group. The discussion had to do with two specific characters: Michonne (whom I’m told I should consider cosplaying for Halloween) and Glenn, who is Korean-American. That is to say, the discussion had to do with diverse characters. Personally, I think it’s great that ethnically diverse characters are present both on The Walking Dead and a number of other TV shows in general. 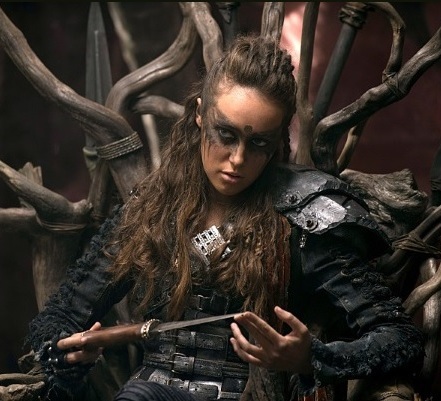 I’ve written previously about the importance of characters who show diversity not just in race/ethnicity, but also sexual orientation, gender, gender expression, religion, age, and ability level because this is the natural variation that occurs in the real world. Not everyone (or even most people) are white, middle-aged, straight men, but these are the main characters we disproportionately see in modern media, both its stars and the creators whose work is allowed to be shown. The discussion in my writers’ group, however, took what to me seemed an odd turn. Speaking of Glenn specifically, some people argued that his presence in the show didn’t actually make it more diverse because his being Asian doesn’t somehow feature in the plot – that because the show is written with a North American sensibility, Glenn is essentially an Asian-looking stand-in for a white guy. They went on to say if an Asian (or in some other way diverse) character is cast without the story somehow focusing upon that character’s diversity (and here the Korean couple from TV’s Lost was put forward as a more preferably example), this is no better than having an all-white cast with respect to the show’s overall contribution to diversity in storytelling and society. Wow – so much to disagree with in that argument. But before I do, I’ll first make a concession. For a modern story set in a contemporary setting, the experience of diverse characters – particularly those who are main characters – probably should acknowledge the ways that they differ from the types of people considered dominant in society. I’ve argued this point before and stand by it still: one can’t just substitute (as an example) a black character for a white character and expect their experiences to be the same. The difference between the two needn’t be a blatant show of constant violent racism; indeed, the microaggressions that diverse people frequently endure are often the most realistic. But in a society where someone as wealthy and well-known as Oprah Winfrey can be told she wouldn’t be able to afford a handbag in Switzerland, I agree that it would seem bizarre to not to incorporate a character’s diversity into the story’s narrative. But in a fantasy setting like The Walking Dead (zombies aren’t real, folks) or in a story set in the future where there’s no obligation to adhere to the practices, beliefs, and development history of modern society, a character’s diversity doesn’t have to be the object of his/her story at all. To suggest otherwise is to ignore three important points about diverse characters and the real-life diverse people they represent. I don’t know about other diverse people, but I’m not constantly aware of and engaged with the fact that I’m black. It’s not that I forget or think that I’m some other colour. It’s just that there’s only so many thoughts a person can hold in their head at one time – only so many things one can be cognizant of at once. Since my blackness isn’t an issue with everyone and every situation I encounter, I’m regularly able to instead just focus on other things, such as my job, the weather, what I’m going to eat for supper, that hot new song on the radio, my writing, the fact that my mom didn’t call when she said she would, what I’m going to do on the weekend, and most recently, my having to move house. All this to say that to make a story in which a diverse character’s diverseness is the main thrust of the story ignores the many facets of his/her life when s/he gets to be not just a diverse person, but a person in general. It’s all but impossible for diverse people living amongst a dominant culture to remain completely uninfluenced by it, especially with the passage of time and the succession of generations. According to the Walking Dead wiki, Glenn was born in Michigan to Korean immigrants. 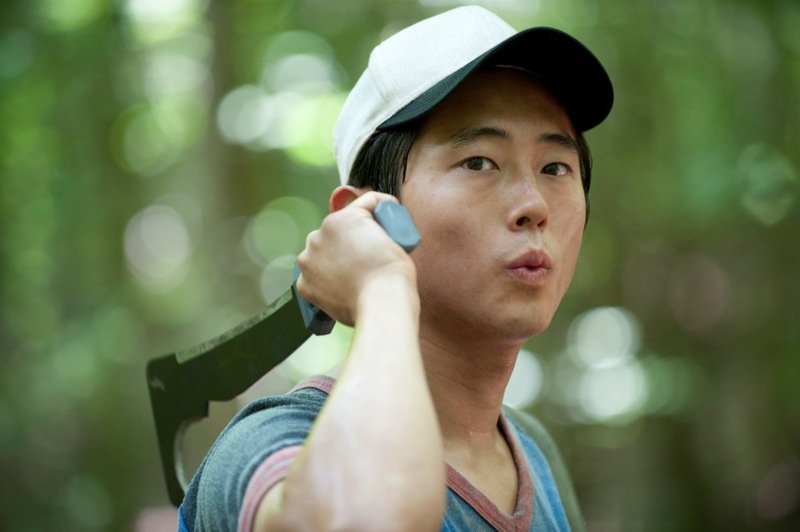 Again, I haven’t watched the show, but I imagine that Glenn’s pre-zombie apocalypse life was a dynamic mix of some Korean traditions at home and mainstream North American customs at school, at work, and among friends, the latter of which (e.g. his knowledge of shortcuts in Atlanta from a past job delivering pizzas) is proving more immediately useful in the business of surviving the zombies. Many children of immigrants go on to marry North American-born/North Americanized partners and start a families of their own – families that might practice even more North American customs than the children did with their parents. Several more generations down the line, these families mightn’t have many – if any at all – foreign traditions left. This doesn’t make them stand-ins for white families; it makes them immigrant families that have evolved. The history of that evolution just mightn’t be relevant to zombies. Diversity comes in many different forms and is everywhere among us. A story doesn’t have to come out of a completely different culture or be written to a non-North American, overtly “Other” sensibility to be important and enlightening, especially for those not used to seeing diverse characters featured in popular culture. All people consume media for one or more of the same basic reasons: to gain a new perspective; to escape the mundane; to vicariously live out an experience; to feel the cathartic release that comes from assuming the role of hero in a world where so few true heroes exists. To see people who resemble us doing heroic things to help us understand the full extent of what we’re capable of. White, middle-age men like those in my writers’ group may never completely understand this last point – may never comprehend what makes (non-stereotyped) demographic characteristics so important, particularly in a story where a character’s race/gender/orientation/etc. isn’t core to the plot. But then, no one ever says a white, straight, able-bodied character’s whiteness, straightness, or ability has to be central to the plot. As well, white, straight, able-bodied people can literally consult any media format and function and see themselves represented, portrayed in any heroic role you can imagine. This normalization of society’s elevated classes comes at the expense and invisiblization of everyone else, who is necessarily left feeling like something not normal. Diverse people regularly fed the message that “all people are the same”, and why can’t they just relate themselves to characters who different from them? As if diverse people don’t already spend most of their lives trying to find themselves among what’s available in mainstream media. If people are to ever truly be considered all the same in society, seeing all sorts of different people in all sorts of situations in the media without their differences being of any consequence is an important first step. 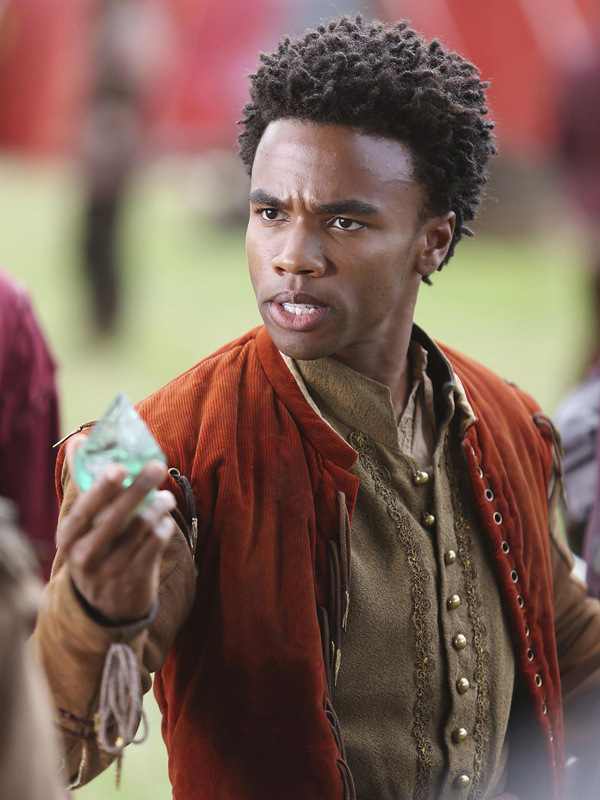 What are your thoughts on the role of diverse character’s on a story’s plot? Let me know in the comments. This entry was posted in Opinions, Writing and tagged Characters, Diversity, Fantasy, Fiction, Media, Movies, Representation, Sci-fi, TV. Bookmark the permalink. I agree with you. When thinking about diversity in the media, it’s important to recognize that diverse characters don’t have be defined by their marginality. Not every story about a black person has to deal with racism; not every story about a gay person has to confront homophobia; etc., etc. To be clear, these narratives about discrimination are obviously important and should be discussed. However, they don’t make up the entirety of minority experiences. Characters from diverse backgrounds need to be afforded the complexity and multi-dimensionality of non-diverse characters. This means recognizing that diverse characters have lives that extends beyond their experiences of discrimination. Well said, D.I! I agree that narratives about discrimination are important, and as I mentioned in the post, in a real-world setting, not at least hinting at that discrimination would ring a little false. In the speculative genres, though, where anything goes (at least in theory), we need a lot less of modern discrimination influencing what writers/producers/casting directors/etc. deem possible and preferable. Late to the party, but you said this so perfectly I needed to acknowledge it. Thank you. Since I’ve gotten blasted for commenting on this topic in the past, I’ll start with the disclaimer that 1. I’m white, 2. I’m male 3. I’m straight. The following response is based on my limited experience as such and I am fully aware that I do not know what it is like to not have the three aforementioned characteristics. However unwittingly, I also represent the patriarchy, my frequent outspoken advocacy for marriage equality, racial equality, and gender equality notwithstanding. In any story, the dialog, action, and plot should be relevant and serve to advance the story. Popular TV and film entertainment is about storytelling, not editorializing. If a character’s specific experience as a black person or an Asian person is relevant to the story, then put it in the story. If it is not, then don’t. Repeated disclaimer: I know I don’t know what it is like to be anything other than a white dude who is attracted to women. However, that does not me I’m am hopelessly blind to what goes on around me on a daily basis. I have cohabitated with an east Asian woman for 18 years. We have a child together. I have spent a lot of time around east Asian people both here and overseas. I also live in an ethnically diverse state and have worked closely with and befriended many Asian people. “Asianess” does not come up in conversation very often, except in cases of self-effacing humor. No doubt I am not present or included in some conversations where the Asian experience is brought up, but I directly observe the life of two Asian people, and their experiences are quite similar to mine, since we all live in the same house. In 13 years, my son has yet to have a “You are Asian and we’re not'” experience. To make Asian characters existence all about their ethnicity would be a form of well-meaning racism, in my opinion. Fish out of water stories (“Fresh off the Boat” for example) seem the best format for discussing those issues in a relevant way. Given the ugly history between white people and black people in the U.S. (or should I say “the ugly history of whites against blacks”? ), I believe racial issues more of an everyday experience for black folks. I sometimes say to people who deny racism, “White people get to choose racism. 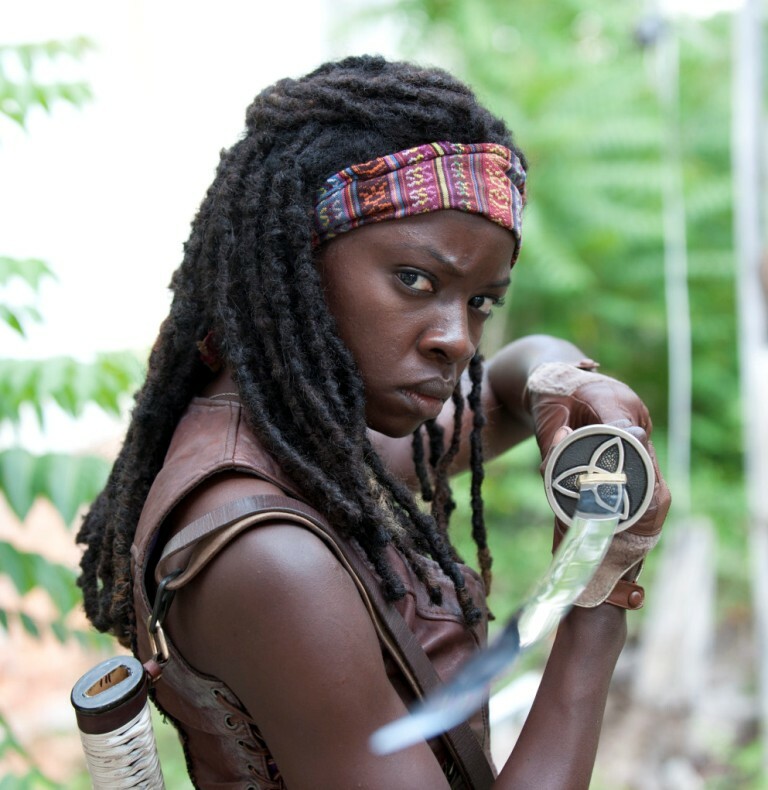 Black people do not.” That doesn’t mean every black character needs to experience racism, but some shows feel disingenuous (like the Walking Dead at times) for avoiding it. Unfortunately, as a white guy with a beard and a touch of gray at his temples, people (i.e., white guys) frequently assume I must be “one of them” and say things to me they would not say to a not-white person. Yes, I’ve heard a few derogatory things about Asians over the years, but those comments usually came from [insert favorite insult here] who I already knew to be racists and disgusting human beings. However, too many times have I heard a seemingly non-judgmental white person “slip” and say something nasty or racist about black people without even realizing how horrible they sound. White people can deny all they want, but racism is deeply ingrained culturally and systemic in this country. Being heavy handed in discussing it can sometimes caused people to tune it out, though, so I like to see good screenwriters address it in smart, enlightening ways rather than didactically. I think that all should be able to speak on any issue so long as it is with respect, empathy, and a thorough recognition that they may not understand everything. Likewise, we should all try to listen to the perspectives of others, which might just help enrich our own. I agree that all parts of a story should be relevant and serve the story. The only problem with that is that some writers use that as justification to not include diverse characters at all, stating that it doesn’t serve the story. For people like that, for whom the default human configuration they envision is white/male/straight/etc., it would seem like having a black/gay/etc. character needs to serve some purpose or else why bother at all. Obviously this isn’t true, but I can empathize with their reasoning (evidently a lot easier than some find it to understand how diverse audiences feel to not be represented). The $64,000 question than becomes “How do we help them see others who are unlike themselves as fully-realized people just like they are?” Ironically, the part of the answer is through more positive and varied representations diverse people in media. Hence, we’ve come full circle. I think that some white people who don’t regularly associate with diverse people would be surprised at how little people’s diversity comes up day-to-day, and also how often it does. People who claim to “not see race” (or any other difference) are the ones most in need of education of these matters. The goal isn’t to ignore and discount people’s differences. The goal is to recognize them for what they are and accept each person anyway. Well said, all of it. Sorry for the disclaimers, but “movements” (even ones I support) tend to become ideologically absolutist after a while, and I’ve been raked over the coals at times for weighing in on such subjects at all. Only online, that is. In real life it never happens. Here’s what I don’t get, as a writer, about the lack of diversity/ubiquity of the white-straight-male point of view in popular entertainment: Those characters are boring to write! I mean, I dig the Avengers as much as the next nerd, but if someone asked me to write a novel about them, I’d be like… “Ok. All white guys between the ages of 30 and 50. All tall, good looking, fit, and extremely powerful. I tremble with anticipation at the dramatic possibilities.” Don’t get me wrong, publishers of the world, I’d gladly take on such an assignment for the money, but my current project doesn’t feature girls and people of color because I’m trying to check off a diversity list, it features them because they are 10X more interesting to write about and their experiences more complicated. Only online, that is. In real life it never happens. That’s because people often forget to be nice online, which is my nice way of saying what I’m really trying to say. All white guys between the ages of 30 and 50. All tall, good looking, fit, and extremely powerful. Maybe that’s why some writers come up with such over-the-top motivations for these sorts of characters. “His girlfriend was dismembered and stuffed down a well.” “His entire family was murdered.” Yeah, because that happens so often outside of government dictatorships and countries wracked by war. And then the things these characters do in response are often just as bad or worse than what was done to them. I wish male characters had more realistic motivations. I should write a post about that. A very interesting and thought-provoking post Janna. Like Eric I’m a white straight male of 62 years with far less exposure to ethnic diversity. Whilst reading the post I was considering my four self-published books. Sure, my first naive contemporary story had little or no ethnic diversity. The second and third were set in mid 20c Jersey (then exclusively white) and the fourth in West Cork where immigration is still in its infancy. Sexual leanings of all types were repressed in both times/locations. On the plus side I write mainly on female characters as I feel I do this best. Janna do you consider that, in a contemporary novel, a writer should make a positive attempt to mirror the society in which the story is set, even if an old guy like me might feel that I would do it badly through pure ignorance? Roy, it’s a difficult question that you ask. On the one hand, I don’t think writers should feel guilty for writing white, straight characters if that’s the vision they have of their stories. Yet, there is something to be said for seeing and accepting the world the way it actually is. The world has changed a lot – we’re all mixing and intermingling, both in person and online, which has opened up a world world of diversity that is now much harder to ignore than it once was. I think writers should do their best to research the worlds their stories are set in, something that goes for all writers, not just straight, white men such as yourself (I’ve been toying with the idea of writing a story set in ancient China, which I know nothing about). Ultimately, it’s a circular conundrum you’re caught in: if more positive and varied representations of diverse people already existed in media, you’d probably feel more comfortable your own. But if no one feels comfortable creating any, then they will never come to be to inspire others. Personally, I believe it’s better to try and perhaps make mistakes than to not try at all. No piece of writing is going to universally please anyway, so as my dad always says, better to be sorry for something you did than something you didn’t do. We need more pioneers to take a chance and prove to others that yes, it can be done.